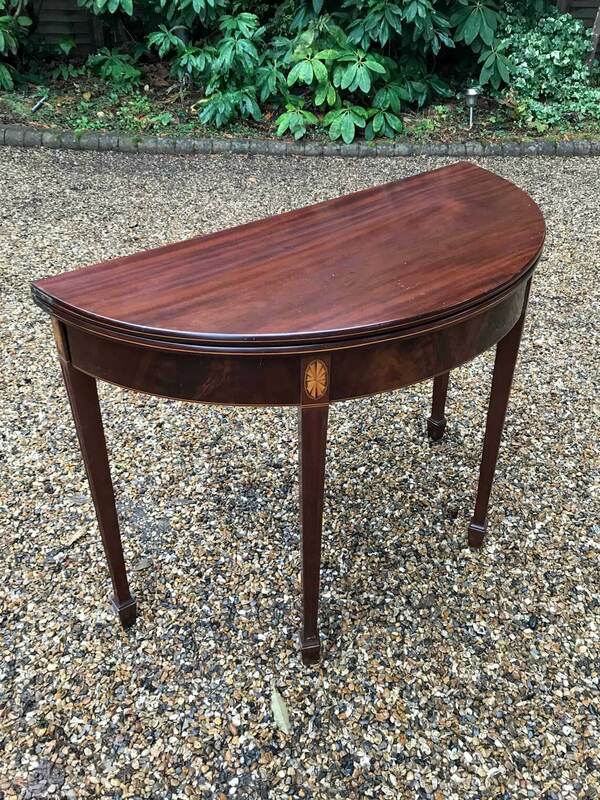 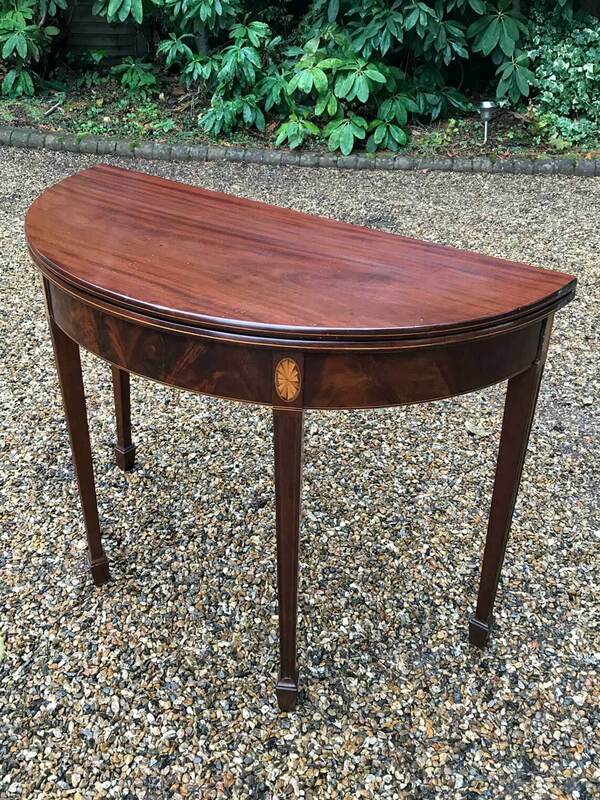 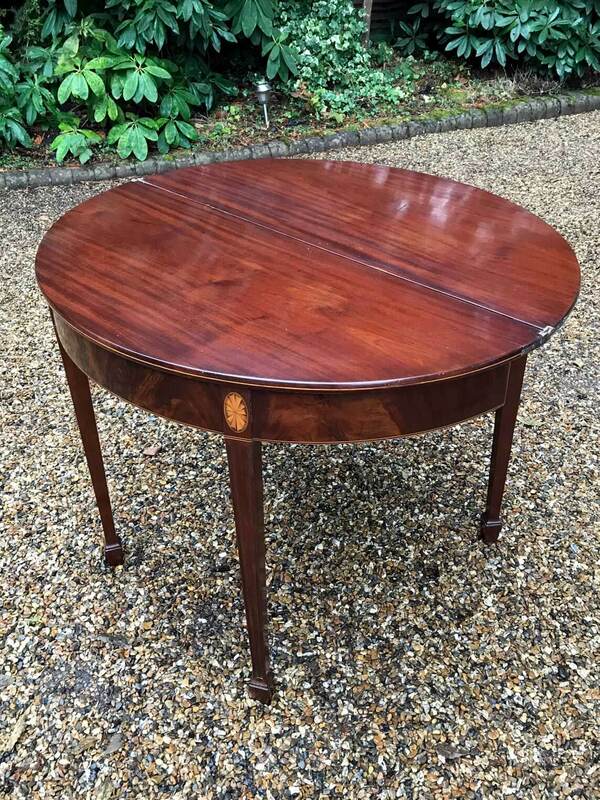 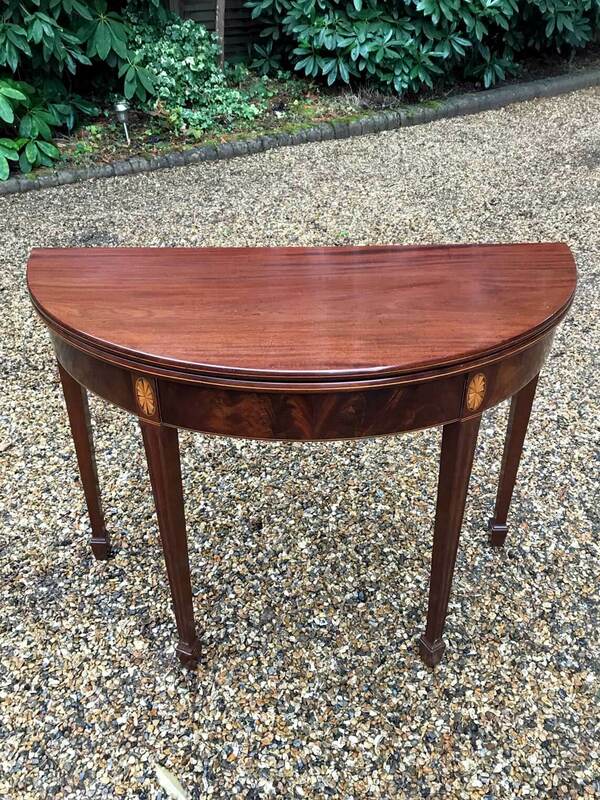 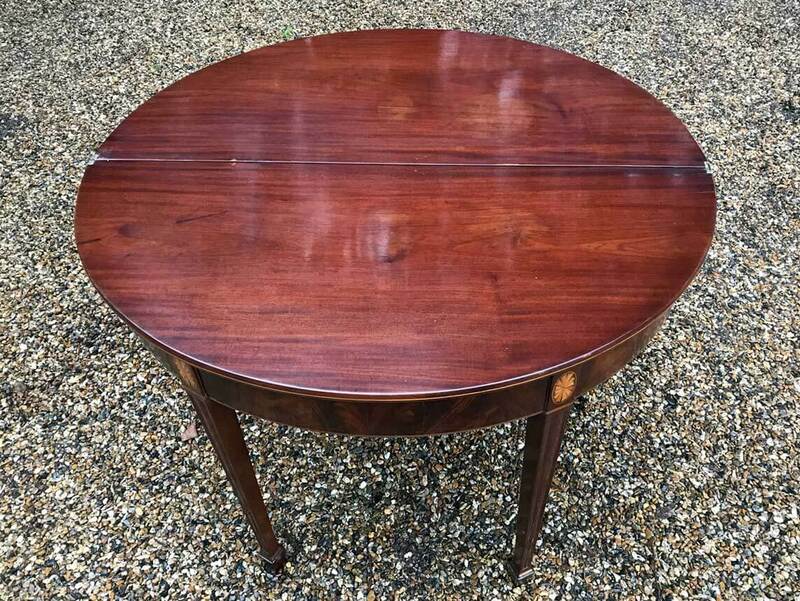 A fine quality George III inlaid mahogany tea table on tapering legs and with satinwood crossbanding. 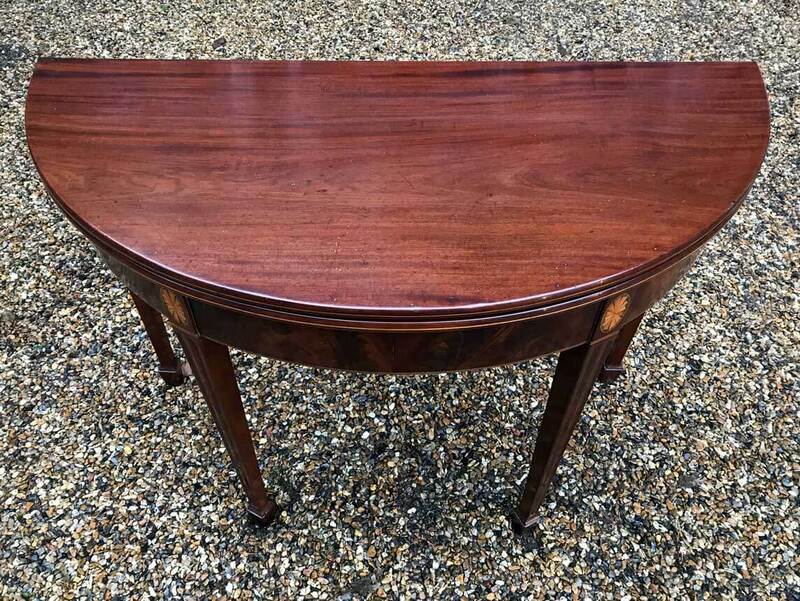 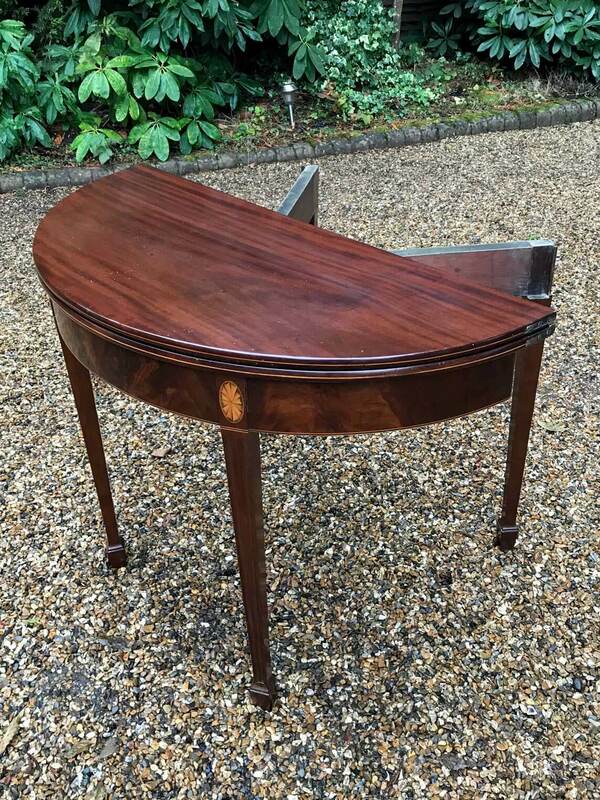 The demi lune solid mahogany top opens, supported by the adjustable rear leg below which is a frieze boxwood strung with satinwood banding. 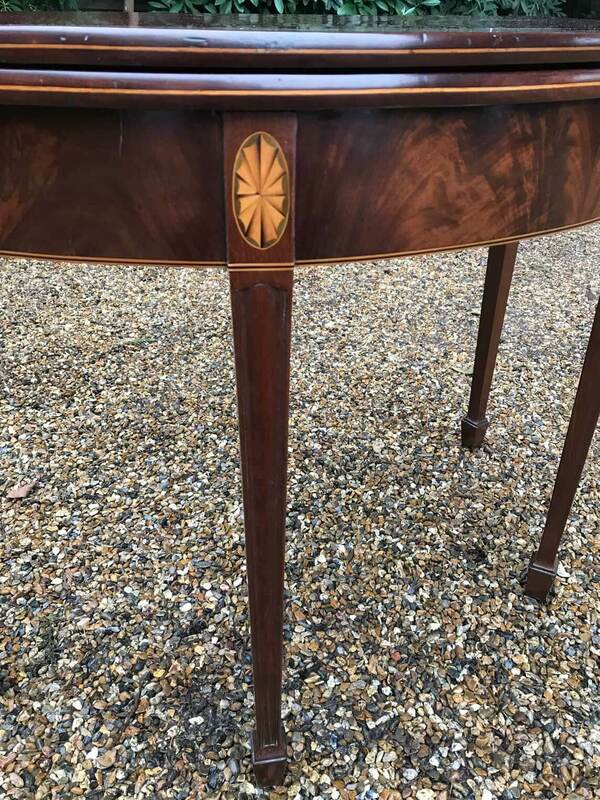 Above each finely tapered leg is a marquetry satinwood oval shell.